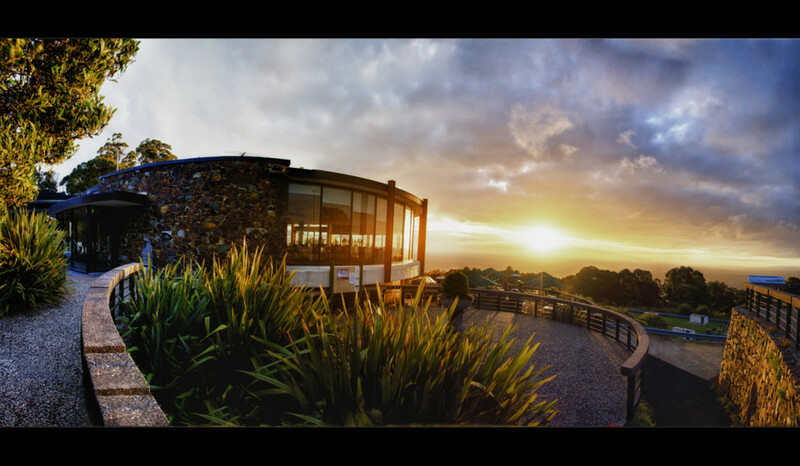 SkyHigh Mt Dandenong is open seven days a week, 365 days a year. 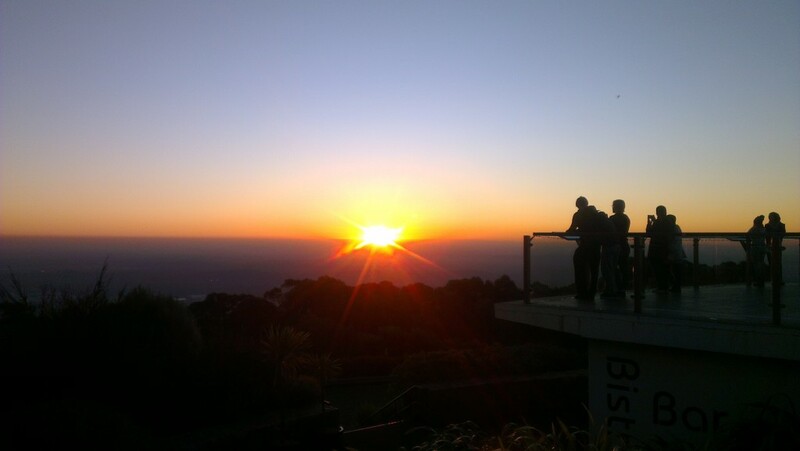 Situated less than an hour from the CBD, our restaurant and bistro have the best view in Melbourne. Whether you’re hungry for breakfast after a long bike ride or planning a romantic dinner, we have you covered. 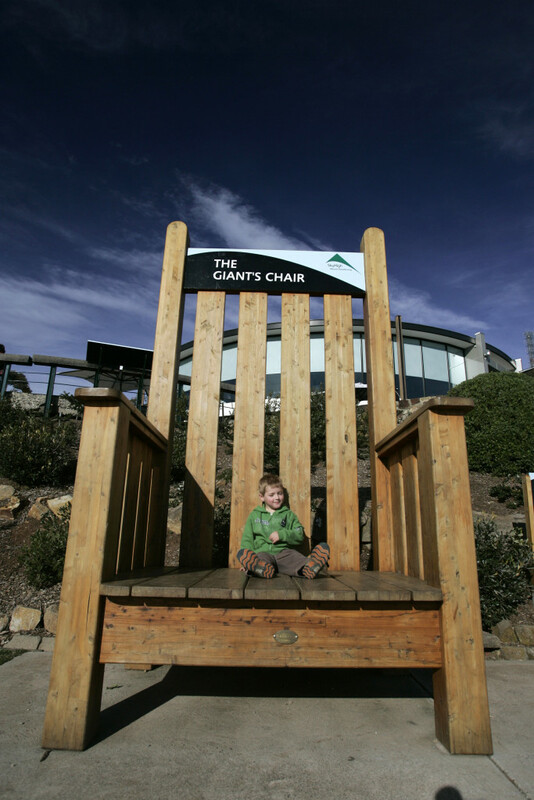 But once you get here, there’s more to do than just watch the sun sink below the city skyline or admire the majestic sweep of Victoria’s Port Phillip Bay. 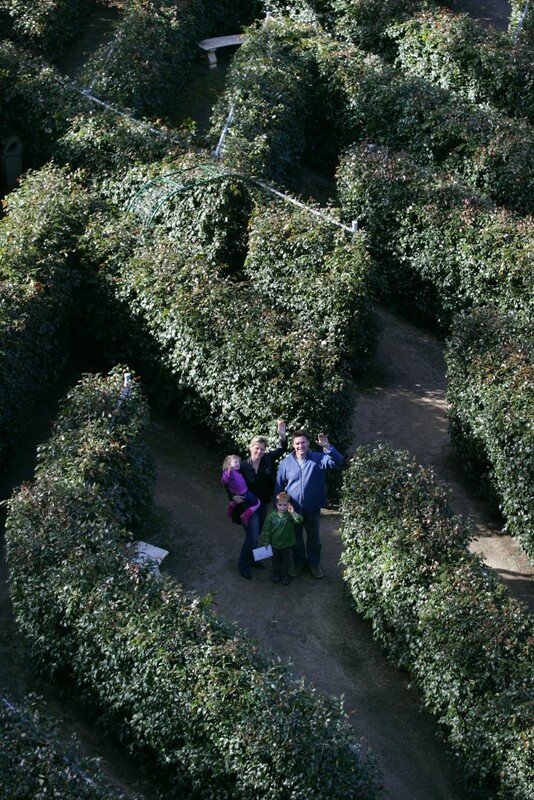 Kids and adults love our hedged maze, where four stamps are collected on a passport in order to escape. Along the way, there are sculptures, illusions and plenty of beautiful climbing rose bushes. For something less puzzling, our English garden is an ideal place for a walk. Its winding gravel paths and well-established plants are the envy of amateur and professional gardeners alike, while kids love the nearby Wishing Tree and Percy Possum’s House. More serious walkers enjoy tackling the marked trails which traverse the native bushland surrounding SkyHigh. One popular landmark is the Kyeema memorial site, erected where a DC-2 plane crashed into the summit of Mount Dandenong in 1938. When the weather’s fine, the park area is always full of families and other groups hosting picnics and using our barbeques. And of course, taking in that spectacular view of Melbourne and surrounds while they eat. Come and see it for yourself. See our events page for information on what’s happening around the site.